The United Nations through the Food and Agriculture Organization designated December 5th as the International Day of Soils. This year World Soil Day will be celebrated under the theme, “Be the solution to soil pollution.” This is done in order to focus attention on the importance of soil to the existence of mankind. Soil is the upper part of the earth’s surface; this is where plants are grown to sustain lives. Below this lies the rocks from which soils are made. However, it takes thousands or even millions of years for rocks to be converted into soil but it can be lost within only a few hundred years. This means that every effort must be made to preserve what is available. Soil is made up of two main layers, top soil and sub soil. The top soil is usually the most fertile part of the soil and normally contains the highest content of organic matter. We often take soil for granted because it is found almost everywhere even under the sea. Though it is always touted that SVG has some of the best soils in the world, this can quickly be erased by soil erosion and pollution. Soil is very important to the existence of mankind. However, erosion and pollution can quickly degrade our soils. We must continuously practice our soil conservation as well as protecting our soils from pollutants so that we can adequately sustain our ecosystems for generations to come. Our soil is alive, so we need to treat it with respect like our lives depend on it! How will you celebrate World Soil Day? This photo was sent to us from a customer in Northern Montana that’s using the SumaGreen Ag on all of his produce. 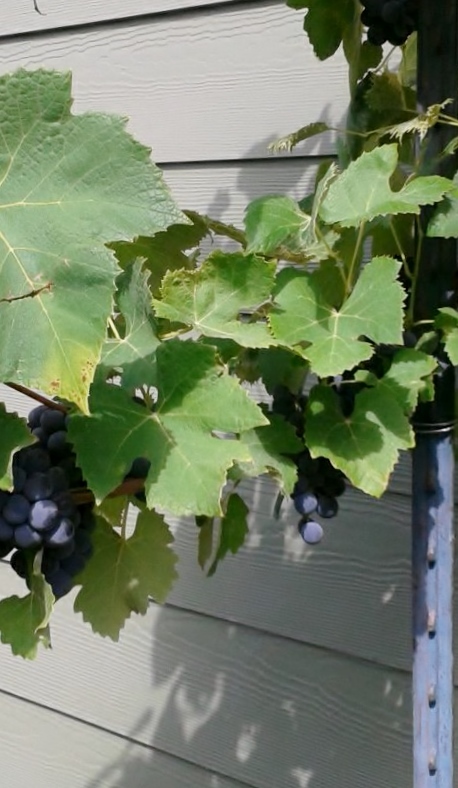 He wanted to share this photo of his grapes from this year and let us know that he was able to harvest them 1 month earlier then he has ever been able to harvest. 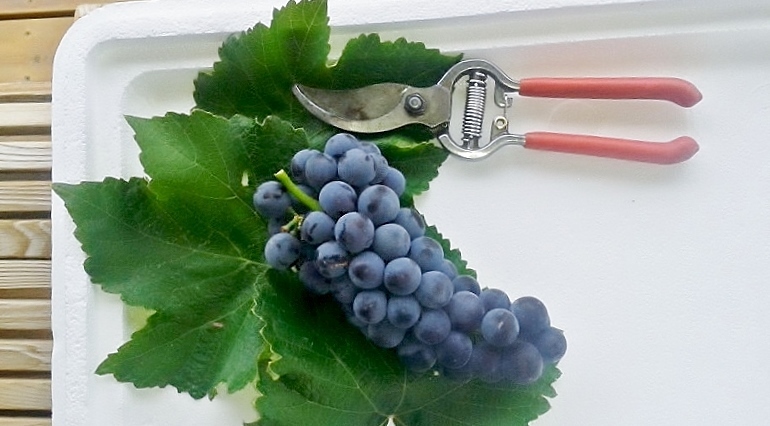 He has noticed that the grapes ripen faster as well they have been sweeter. The SumaGreen has been the only input used on them. December 5th is World Soil Day, I hope everyone is thinking about what they are going to do this coming growing season to help build the soil they are working with. With the lose of farm land everyday from the growing population we are going to need the farm land we have left to be at it’s best to go grow the food we are going to need to feed the world. I like the poster below, it should make you think about what we need to do for the next generations, so they have healthy soil to work with. I also put a link below to the global soil partnership website, so you can see some of the things that others are doing around the world, we need to work together. Have a great World Soil Day!